When it comes to pancakes, most people reach for the box of pre-mixed ingredients in their pantry. If you’re like us, buttermilk pancakes only make it to the menu on weekends — and not all that often. Not that they’re hard to make, it’s just that making a full breakfast requires a more extensive cleanup when you’re done. To lessen that chore, Bisquick has even packaged their mix in a one-time use container that requires you to simply add water, shake, and pour. This reduces the effort involved in making pancakes, as well as the cleanup afterwards. 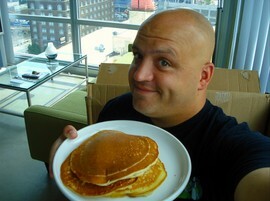 Sure, you get a satisfactory pancake for your efforts, but for me you can always improve upon “satisfactory”. Making really good buttermilk pancakes from scratch is very easy, takes only a matter of a few extra minutes and creates no more of a mess to clean up than making them from a mix. The one secret I’ve found to making your pancakes great rather than just satisfactory is by using fresh buttermilk. In my area, buttermilk comes in half-gallon containers, requiring me to find ways to use it before it gets too old in the refrigerator. With only 2 of us in the household, this means we eat a lot of pancakes until the Buttermilk is gone. 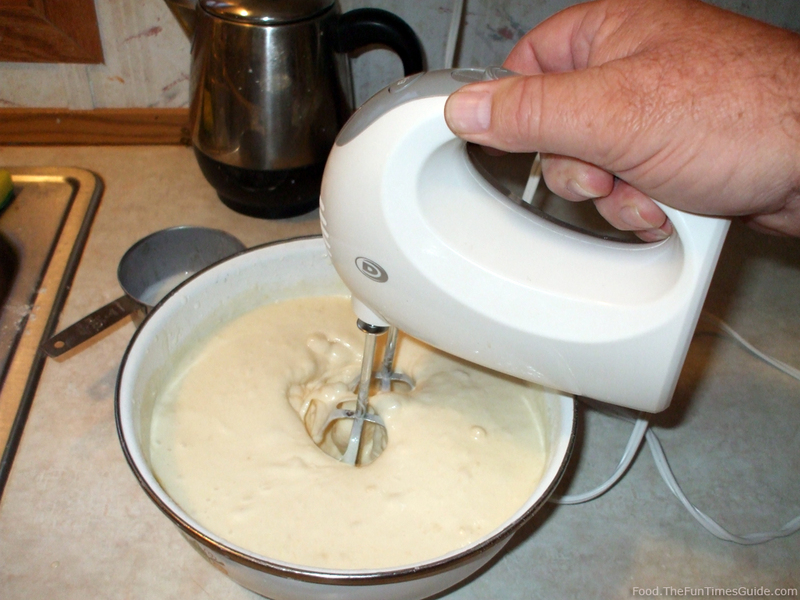 All “complete” pancake mixes (including buttermilk pancake mix) use dry milk products so that all you’re required to add is water to make the batter. You can buy dry powder buttermilk mix that — by adding the powder along with so much water to any recipe requiring buttermilk — is supposed to replace fresh buttermilk. I tried this once and found the results to be pretty sad. I would highly recommend that if you’re going to the trouble to make pancakes from scratch, use real dairy buttermilk. The results will be well worth the effort. 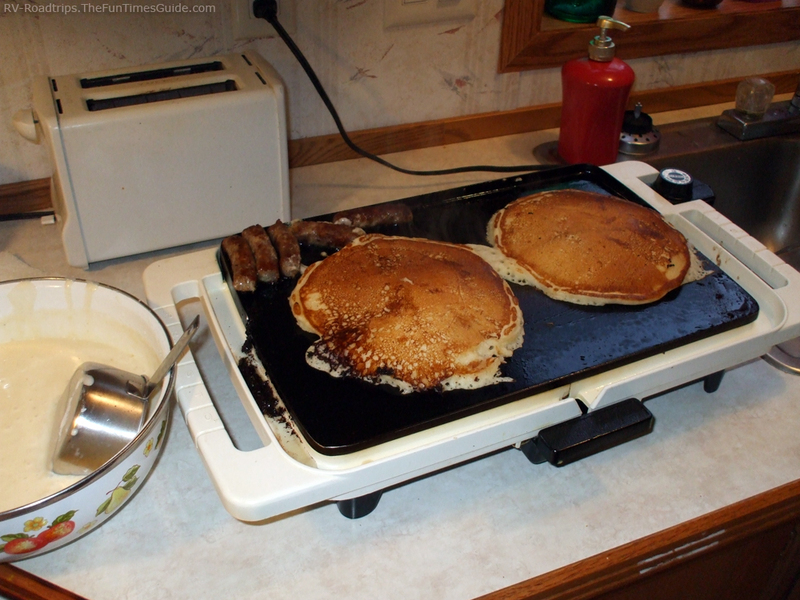 Whisk everything together, and ladle onto a hot, well-greased electric griddle. You’ll have enough batter to make about a dozen 6-inch pancakes. 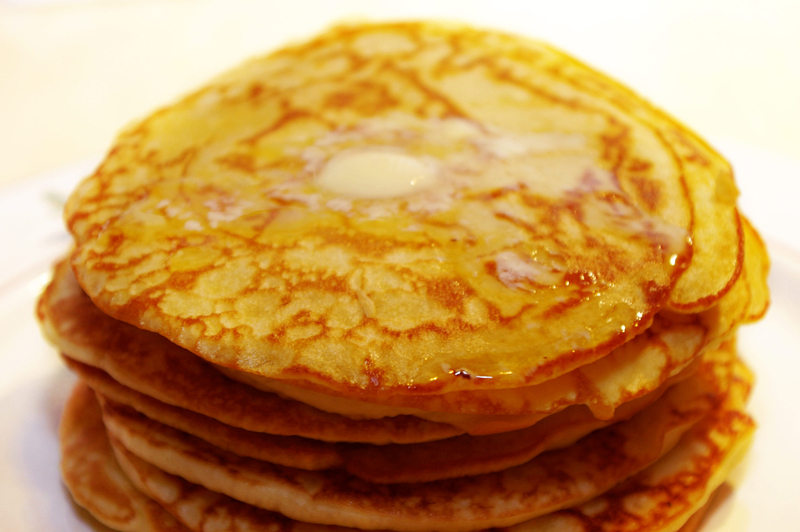 This recipe produces a very fluffy and light pancake that has incredible flavor. It quickly became our favorite weekend or camping breakfast, as nothing sticks to your ribs better than pancakes with a side of bacon or sausage. Another favorite flavor we use a lot is almond. Simply add a teaspoon of Almond Extract to the batter for a wonderful taste. Making your buttermilk pancakes from scratch may take a few extra minutes, but when you’re making breakfast for your family or friends, don’t you want to make great pancakes rather than just good ones? Buttermilk Pancakes In Fun Shapes!